the buyer that special edge. 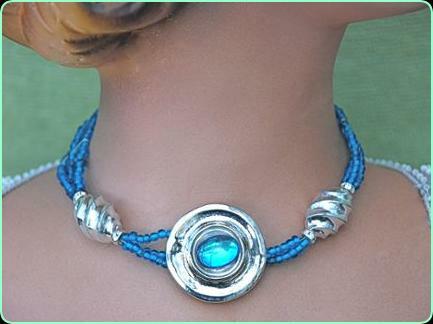 Total length of necklace is 14 inches. 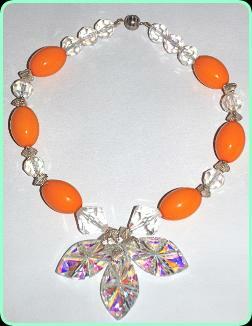 Beautiful colors, with an eye catching faceted, light catching crystal chandelier drop centre piece. 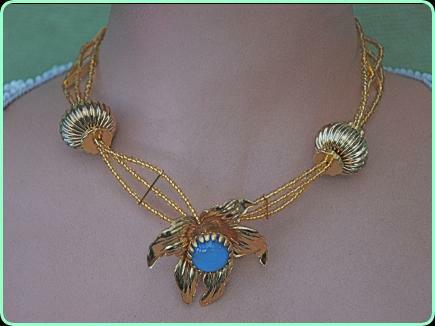 Length of necklace clasp to clasp is 13 inches. With an added centre drop of 2.5 inches. 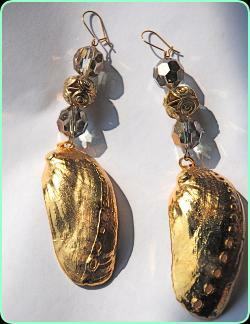 Very large striking shell earrings. 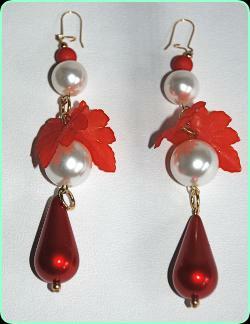 Great earrings for an evening out. pretty silver colour disc center piece set with a colored stone. 4 inches in length.These are a nice long drop.